Team Arrow and Team Canary go nuclear with each other all because of Black Siren. But it comes with a significant cost or two which makes the conflict even worse between the two teams. I have seen a lot of drama on Arrow throughout its many seasons. 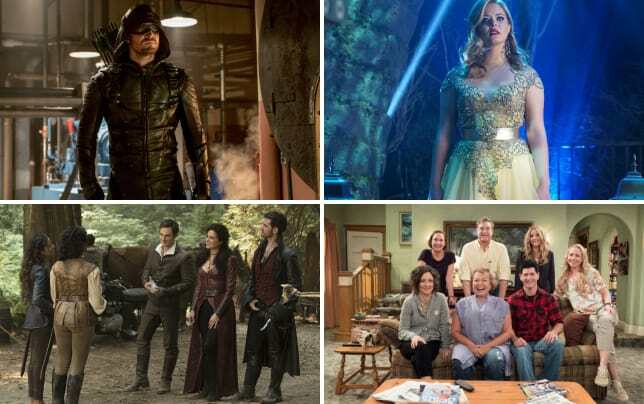 Arrow Season 6 Episode 14 officially joins that list because things got way too insane! This storyline is one hell of a mixed bag to watch as Arrow Season 6 progresses. I think I was more open to the idea of having two teams at the start when Dinah wasn't insanely hostile. But now I'm over it because it is coming at a lot of expense that is not worth it. While I haven't lost my love for Dinah, I'm disappointed with what has been done to her. Seeing her running around yelling over and over again how she wants to kill Laurel is ridiculous. Even though I know she has been willing to kill in the past, this feels forced. This is why I hate that Vincent was revealed as the Vigilante. Some stupid man ruined one of Arrow's coolest female characters because of reasons. This is especially true since we know that they didn't plan for Vincent to be Vigilante from the start. Even though we know Dinah will never kill Black Siren, it's the constant hunt that is dumb. Speaking of ruining characters, we need to talk about Curtis freaking Holt. After "Collision Course," I feel 100% bad for John Diggle being stuck on this show. It felt out of character for Curtis to use Diggle's chip to track them when he knew the cost. That is not what the Curtis that I fell in love with would do! That is another reason why Dinah's behavior became too much through this story. She was even willing to put Diggle through pain only to find Siren. Diggle is the same man who took care of her when she first joined the team. Clearly, Dinah has forgotten all about it, and that was horrible to watch. It broke my heart that Curtis was willing to use Diggle like that when it could have killed him. Normally, Felicity's reactions can be too much, but she was spot on here. That is the major problem with this storyline. A lot of these characters are being unlikeable because the plot dictates it. 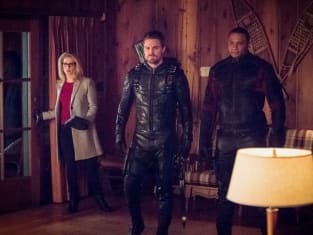 I don't think the team we saw at the start of Arrow Season 6 would get here. They would have worked it out like mature adults without weapons, costumes, and fighting. It comes down to Black Siren and the two team's respective views on her. It is complicated because she looks like the friend they lost two years ago. I think Quentin was the one character whose writing made sense and felt organic. It didn't make him look stupid because we did see at many points how Siren was willing to collaborate. It was until the point when she almost died that she had to strike back. To be honest, I don't blame her one bit. Related: Arrow: Can Black Siren Respect Laurel's True Legacy? It felt random that she wanted to leave the country instead of going back to Earth-2. Though I suppose she doesn't have much of a life there anymore given that her Oliver is dead. That is why we need one episode where we see what her life was like over there. We put up with flashbacks all the time; why not give us a backstory that needs to be explained? I have to give the writers credit for giving us one crazy redemption story for her. The idea that she is going to pretend to be Earth-1 Laurel can go either way. This may be a crazy suggestion but think about it for a minute. Are they breaking this Black Canary so that Black Siren can be redeemed? Because God forbid that we have two Black Canaries at the same time, that is absurd. I love both of them, and as much as I want Siren redeemed, I don't want Dinah to be ruined as a result. I look forward to seeing what Laurel will do next and how she will explain to people about suddenly being alive. 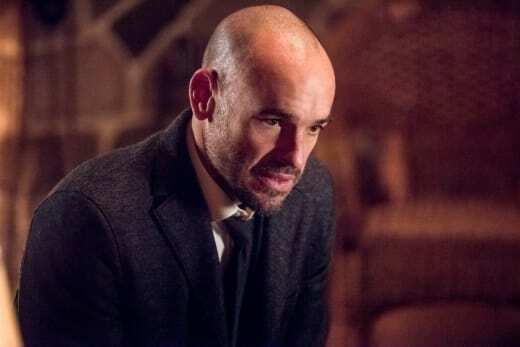 The Earth-1 Laurel was declared dead publicly by Oliver, after all, to the whole city. But logic hasn't always been one of Arrow's strengths, so I'm sure she will have some explanation. Where the hell was Ricardo Diaz during all of this madness? Overall, "Collision Course" was a rough episode from start to finish. While the setup for Siren's redemption is getting more exciting, the drama between the teams needs to come to an end. Now it's your turn to let us know what you thought of Arrow Season 6 Episode 14! 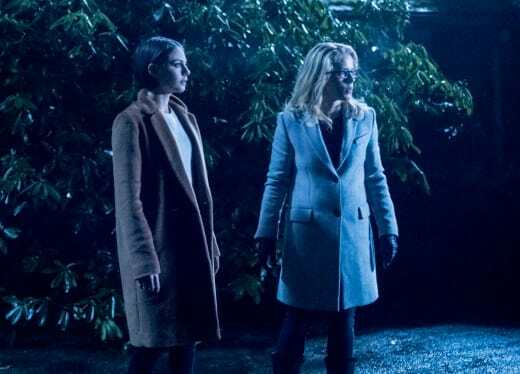 What did you think of the two teams fighting over Black Siren? Can Laurel be redeemed? What will happen to Star City since Oliver couldn't get the money back? Remember you can watch Arrow online right here via TV Fanatic! Catch up with the Emerald Archer! Black Siren: I just escaped. I was kidnapped two years ago, I think...I don't know! Black Siren: Laurel. Laurel Lance. Oliver: I don't trust you to do the right thing. Dinah: And what is that? Politely ask Laurel to give back the money? 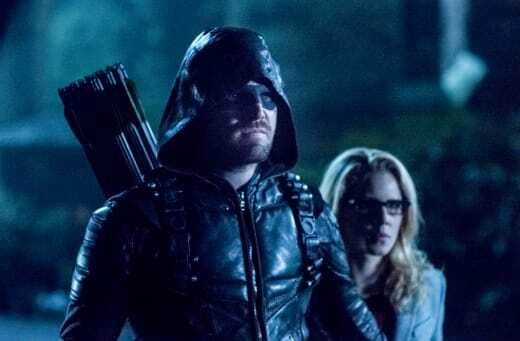 Arrow Review: Team Arrow Vs Team Canary!